The Wabbit took Spring the Rabbit to the Palazzo caffè for a coffee. While they were waiting, Spring watched figures crossing the piazza. He watched for such a long time, the Wabbit had to intervene. "Here comes coffee," he chuckled. Spring chuckled, but ruefully. "I am the rabbit from the coin you sought - but I can't pay, having no coins myself." The Wabbit grinned ear to ear. "They know me here. Would you care for a salad sandwich?" Spring rapidly agreed and he jumped against the Wabbit's fur. "You are my liberator. How can I repay you?" The Wabbit considered. "Maybe you could tell me something about that coin?" Spring sighed deeply and turned to gaze from the window. "These people out there, they buy and sell?" The Wabbit nodded. "And they are themselves bought and sold?" continued Spring. The Wabbit gritted his 28 teeth, but agreed nonetheless. Spring began to tell his story. "An ancient sorcerer did me a great favour but I had no way to repay. He was furious beyond belief and trapped me in a gold coin. I was condemned to imprisonment there forever." "That's a long time," sighed the Wabbit. "I have seen many exchanges," said Spring. He sank against the Wabbit's chest. "I've witnessed bribery, corruption, double-dealing, graft and chicanery." 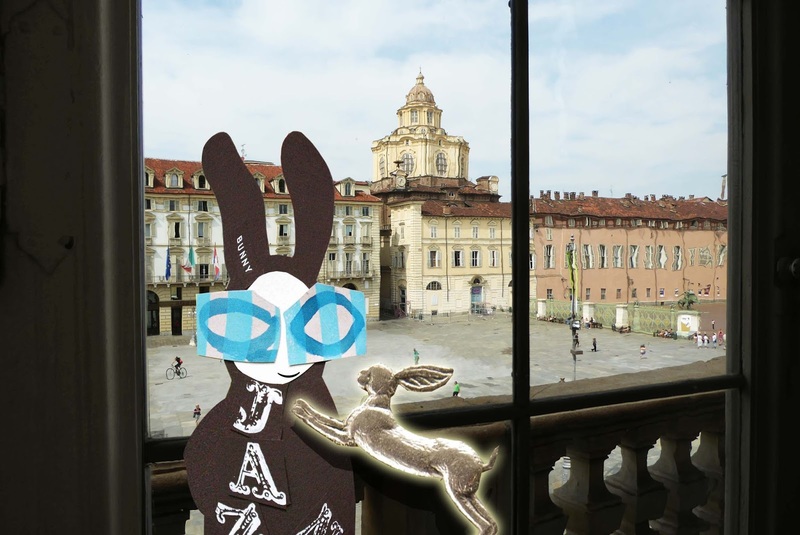 The Wabbit thrust a paw in his fur and he scowled. "You're in danger. You know too much."